The little pink, yellow, and blue packets snuggle up to the salt and pepper shakers and keep you company when you’re out to dinner. Artificial sweeteners have become so commonplace in our modern diets that they grace nearly every restaurant table, and most likely many kitchen counters at home. While carrageenan and other sneaky harmful ingredients are causes for concerns, fake sugar substitutes might be the most dangerous chemical compounds added to a vast amount of foods. The worst artificial sweeteners are lurking in more foods than you might realize. 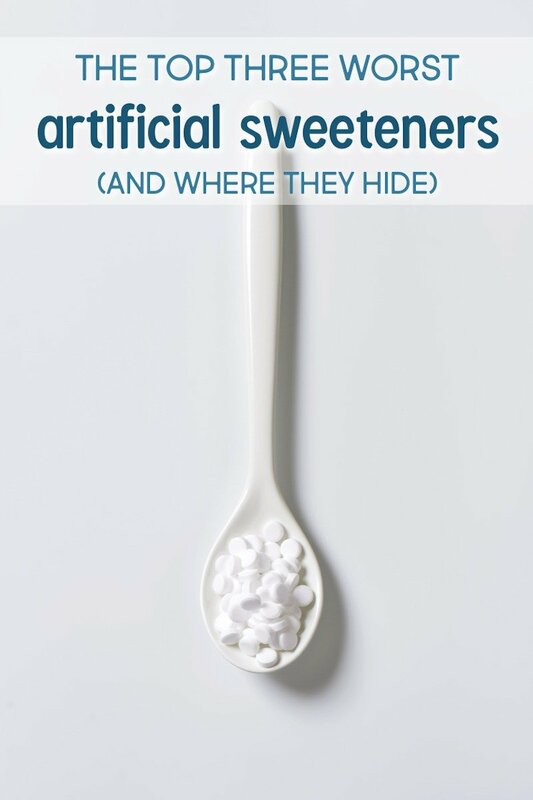 Unfortunately, artificial sweeteners wear the disguise of many different names. Often, it seems that as soon as you figure out what to avoid, the same chemicals are placed under a different name in an effort to go without notice. 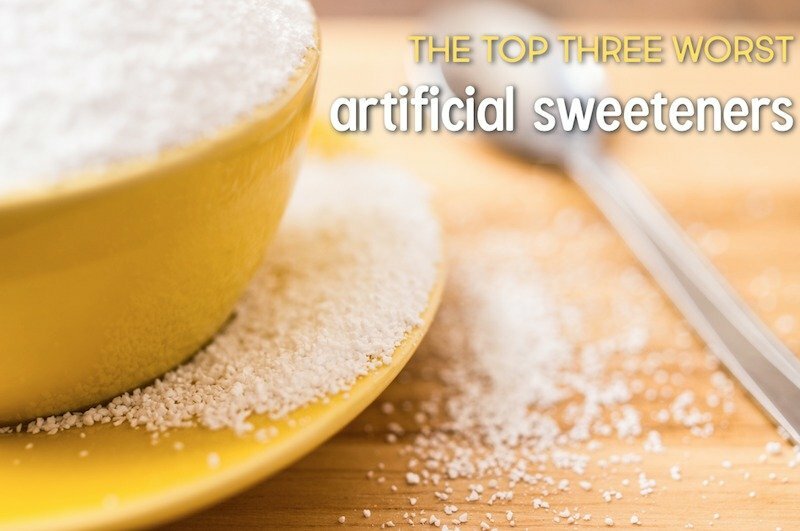 Of all the artificial sweeteners, there are three that stand out as especially horrible. The sweeteners are often touted as healthy sugar substitutes and are used in many of our shelved and manufactured foods and personal care products. The two primary components of aspartame, phenylalanine and aspartic acid, are amino acids that are combined in an ester bond. You normally consume these two amino acids in the foods you eat. These amino acids are harmless when consumed as part of natural unprocessed foods. However, when they are chemically manipulated and consumed out of the normal ratios to other amino acids, they can cause problems. Your body initially breaks down the ester link between the two amino acids to turn them into free amino acids. The neurotoxic effects of these chemicals in their “free form” can result in immediate health consequences such as headaches, mental confusion, dizziness, and seizures. 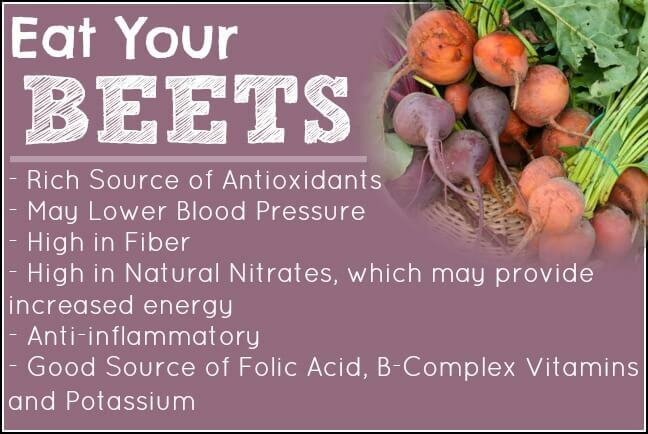 Your body does require small amounts of these amino acids to function properly. However, the high concentration of these chemicals in the form of aspartame floods your central nervous system and can cause excessive firing of brain neurons. Cell death is also possible. This is a condition called excitotoxicity. Your body doesn’t recognize phenylalanine and aspartic acid in their free form, but your system will try to manage them through metabolization. Whenever your body tries to process an unrecognizable substance, the stage is set for health problems. The chemicals in aspartame will be absorbed by your intestinal cells, where they will be broken down into other amino acids and byproducts. A large percentage of the absorbed chemicals will be used immediately in your small intestine. It’s easy to see why aspartame ranks at the top of the worst artificial sweeteners. Sucralose, while marketed as a healthy sugar substitute, is actually made from chlorine. Yes, the same stuff that bleaches your pool. Sucralose (Splenda) is hundreds of times sweeter than sugar and therefore creates major sugar addiction for those who consume it regularly. Often known as Sweet ‘N Low, saccharin once carried health warnings from the FDA, as it had been linked to cancers. That label was removed, however the potential dangers remain. Sadly, this top worst artificial sweetener is often added to children’s medication (their medication!) and may cause nausea, and photosensitivity. 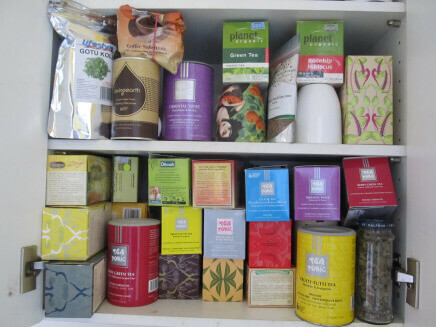 Are There Any Healthy Alternatives to Artificial Sweeteners? Have you ever been hooked on one of the worst artificial sweeteners? What opened your eyes? Let us know in the comments below!